8x10 works for me as well...guess I am behind the times. Digital or film. I shoot digital when I need digital and film when I need film. For the work I do for vineyard corporations I shoot film as stated and demonstrated above. I love both. Either way, you get a workable photograph and that is all that counts. Again, love them both; love photography. Everything about it. I have several clients that still want me to use film rather than digital. The major part of my income comes from shooting 4x5...used to have a little mf...but I do those on digital now. 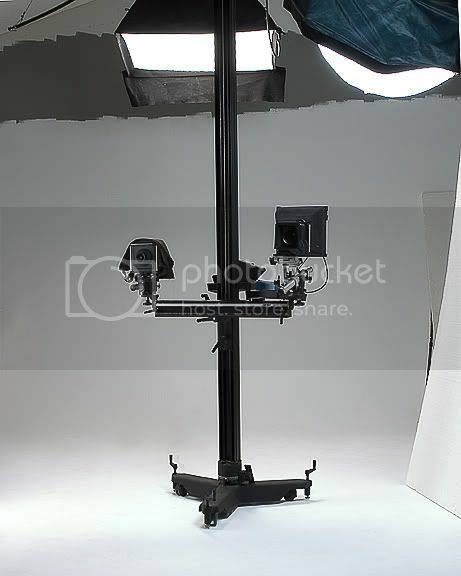 I don't use 8x10 other than using the 4x5 reducing back on it for studio use. The 'f'(field) camera obviously go outside the studio. My film usage has dropped off considerably since digital arrived. I used to shoot nearly 2000 sheets of 4x5 film per year, now it's down to just over 700 sheets. 90% of my captures are on medium format or larger. I'm with Chris and others, the majority of my serious work is still MF & LF, unless I know that it will be going into print at a smaller size. My preference for anything ultimately 8x10 or larger final output is at least a 6x7 neg, preferrably larger. Mamiya M645, Mamiya RB67 Pro SD and finally a Bronica ETRSI.....all are loaded and ready for action...this weekend! Did not make the trip when I posted this but will definately be packed for my trip to Lake Constance on Sat 25 Aug 07. Have you bought your new 39mp "Blad"? What are you waiting for? You can get a pretty good setup for $40K to $50K US. Maybe you want to buy two so you have backup. May God Bless the Minox! Tom, God doesn't bless cameras, he blesses Notre Dame football games. Where have you been? Not in church, obviously.